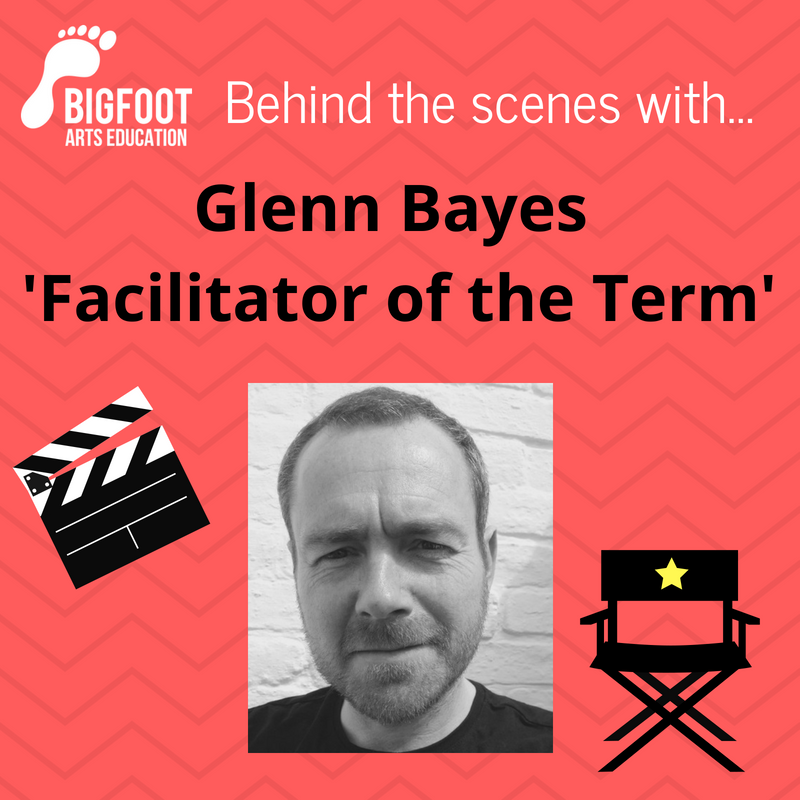 Therefore, this term, please welcome GLENN BAYES into the spotlight as we invite you to not only congratulate him winning the accolade of ‘Facilitator of the Term’, but also learn a little more about him as our ‘Behind the scenes with…’ guest this month too! Over the past 12 months, Glenn Bayes has been an absolute superstar! 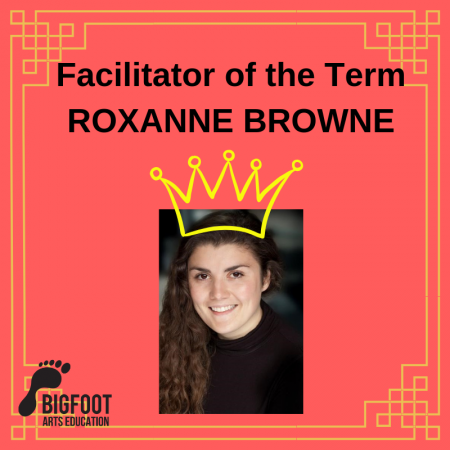 A “triple-threat” Residency Facilitator, Glenn has delivered Drama, Music and Language Residencies at Moreland, La Fontaine and Selsdon Schools. 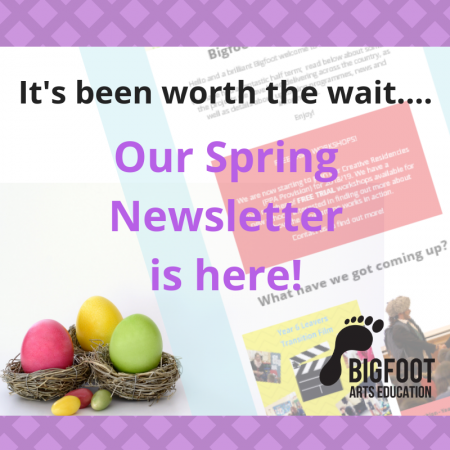 As if that hadn’t kept him busy enough, he has also somehow found the time to deliver Buzz Days, Anti Bullying Workshops, Spotlight days, Secondary PSHE, Safer Internet sessions and Bespoke days – talk about multi-talented! Glenn has been an absolute delight to work with over the last year – a favourite of schools and the Bigfoot office alike and we are incredibly sad to see him go. 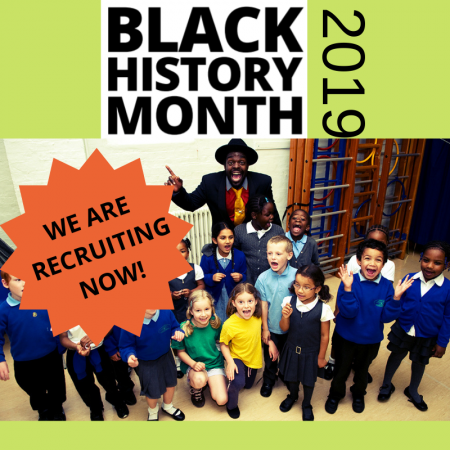 Yes reader, the wonderful Glenn is now off to seek new adventures as a full time music teacher, but not before leaving us with his legacy by collaborating with the Black History Month team on our brand new musical Black History Month programme, ‘Jax’s Jukebox’. Glenn, it has been an absolute pleasure and we wish you the very best of luck.